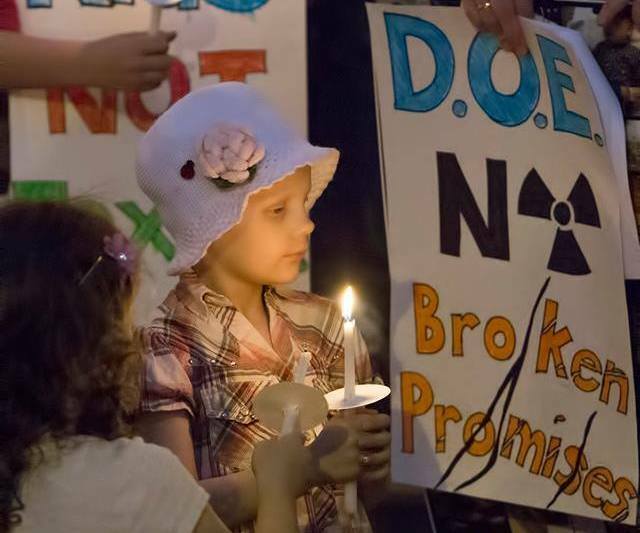 Boeing has launched a major PR and lobbying campaign to be allowed to walk away from cleaning up most of the nuclear and chemical contamination at the Santa Susana Field Laboratory (SSFL). If it succeeds, Boeing will save money – but community members could pay with their health. Wildlife and future visitors could be at risk too. Ironically, Boeing’s disingenuous spin is that it is trying to “protect” Santa Susana. But what Santa Susana and neighboring communities really need protection from is the polluter – BOEING. 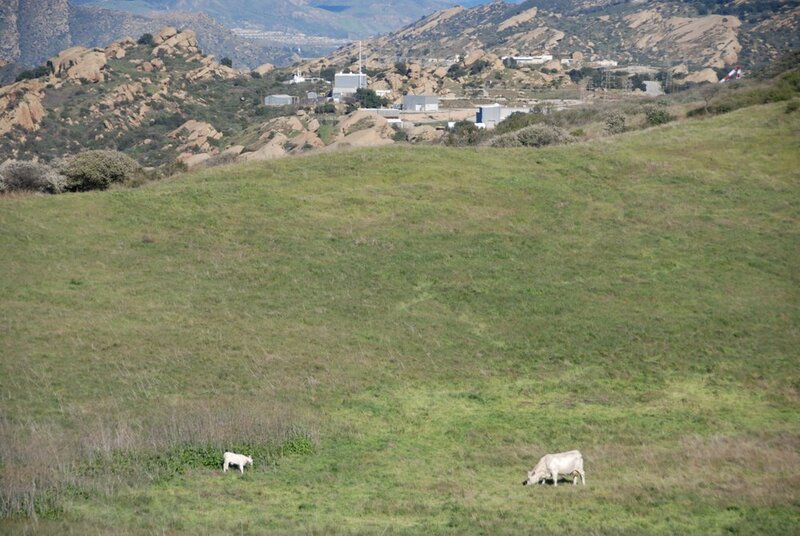 Please review the facts here and join our efforts to demand that the Department of Toxic Substances Control (DTSC) uphold its commitment to fully clean up Santa Susana. What are the health impacts of the contamination at SSFL? Who is responsible for cleaning it up? See our FAQ here. Who Supports a Full Cleanup? Learn more about communities, organizations, and elected officials who support the promised, full SSFL cleanup. 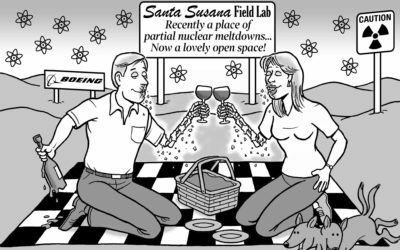 The Santa Susana Field Laboratory is contaminated with dangerous radiological and chemical contamination. 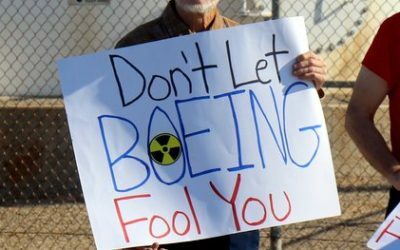 Boeing boasts about SSFL’s accomplishments, but fails to disclose the incredible negligence that resulted in the site being so contaminated – such as the 3 reactor accidents including a partial meltdown, radioactive fires, open-air burning of toxic materials, and tens of thousands of rocket tests that spilled hundreds of thousands of gallons of toxic material into the soil and groundwater. In part one of our video series, cleanup advocates, former workers, and community members provide insights on what really happened at SSFL. The California Department of Toxic Substances Control (DTSC) released its draft Environmental Impact Report (EIR) for the Santa Susana Field Laboratory cleanup on September 7, 2017. The EIR breaches DTSC’s longstanding commitments for a full cleanup. Furthermore, it hides the ball–it doesn’t disclose how much contamination it now proposes to not clean up, and completely omits risks to the community from contamination that would remain on site. And, though DTSC’s DEIR doesn’t say what cleanup will be chosen, it rules out from even consideration the protective cleanup it had long promised for Boeing’s property and proposes options that would violate its agreement with DOE and NASA to clean up all detectable contamination at their operational areas of SSFL. Astonishingly, Boeing is now pushing for a cleanup that is even less protective than any of the scenarios in DTSC’s DEIR, and that would leave about 98% of the contamination not cleaned up at all! Boeing wants the public and elected officials to believe that a full cleanup will somehow be more harmful than the plutonium, strontium, cesium, dioxins, PCBs, heavy metals, perchlorate, and other toxic materials with which the site is polluted. Boeing instead bombards the public with photos of rolling green hills and wildlife and stories of SSFL’s aerospace history. Boeing never mentions the damage to the environment caused by decades of nuclear and rocket-engine testing, and never utters a word about the health impacts of SSFL contamination, except to deny it ever hurt anyone. Greenwashing SSFL’s toxic history and harmful contamination is dishonest and dangerous. Buried in Boeing’s own risk assessment reports are its own estimates of extraordinarily high cancer risks in some areas of the site, even after their proposed cleanup, which triggered an outcry from the community and elected officials. But rather than insisting that Boeing complete the risk assessments, or delaying the DEIR until they were finalized, DTSC released the DEIR without this critical health information, thereby giving an unbalanced and inaccurate assessment of the cleanup. What we are left with is a DEIR that doesn’t include information about the risks from not cleaning up the contamination as promised and focuse instead entirely on purported potential negative impacts from cleanup, many of which are specious or exaggerated. The cleanup agreements protect endangered plants and species as well as cultural artifacts. And, most of the cleanup will occur in areas previously disturbed by decades of nuclear and rocket-testing activities. Claims that the cleanup will harm habitat or artifacts are false. And the failure to disclose the risks from the pollution, from breaching the cleanup promises, is irresponsible. The only way to protect public health is for all of SSFL’s contamination to be cleaned up. We cannot allow Boeing to rewrite history, to erase the suffering of former workers and nearby community members who have gotten sick and even died because of SSFL’s contamination. Yes, Santa Susana needs to be protected – from Boeing. Please take action today! Boeing boasts about SSFL’s accomplishments, but fails to mention the nuclear and chemical accidents, spills, and releases that happened there over the course of five decades. 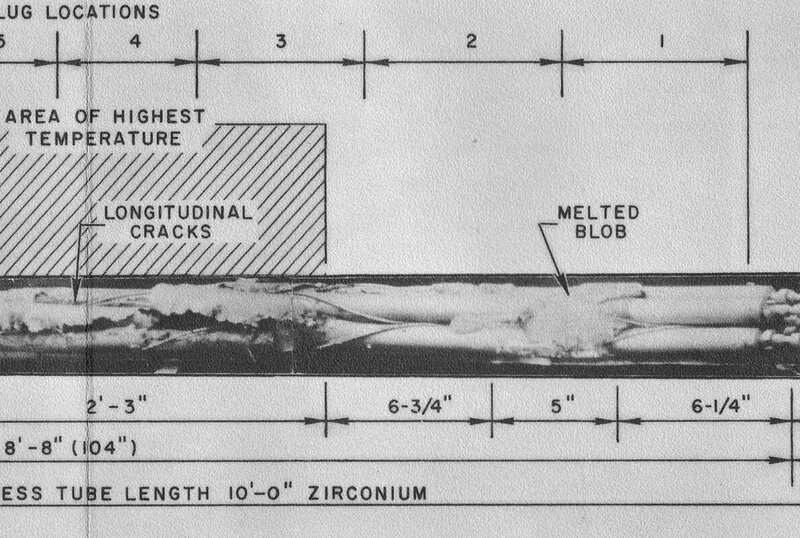 SSFL once housed ten nuclear reactors, a plutonium fuel fabrication facility, a “hot lab” to disassemble highly irradiated nuclear fuel, and tens of thousands of rocket tests. At least four of the reactors suffered accidents; one, in 1959, was a partial meltdown. 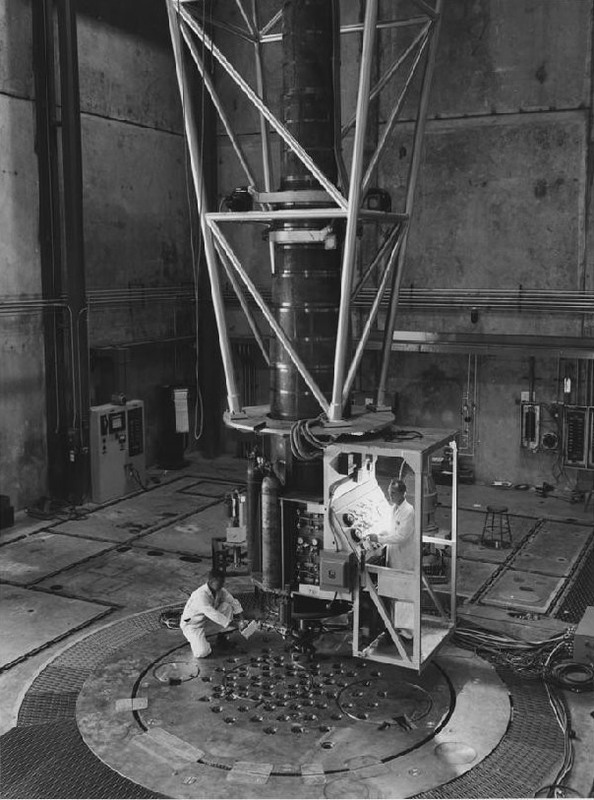 None of the reactors had containment structures to prevent the radioactivity from being released into the environment. Open air burning of radioactive and chemical wastes routinely took place. As a result, SSFL has extensive contamination from dangerous radionuclides such as cesium-137, strontium-90, and plutonium-239, as well as toxic chemicals such as dioxins, PCBs, perchlorate, volatile organic compounds such as TCE, and heavy metals. These substances can cause cancers and leukemias, developmental disorders, genetic disorders, neurological disorders, immune system disorders, and more. SSFL contamination has migrated offsite through movement of polluted groundwater and surface water and through airborne transport via wind. Until the contamination is fully cleaned up, it will continue to migrate and keep nearby communities at risk. In 2010, the Department of Energy and NASA signed historic agreements called Administrative Orders on Consent (AOCs) with DTSC to clean up their operational areas to background levels of contamination – meaning return the land to the way it was before they polluted it. Boeing refused to sign the AOCs, and sued to overturn the state cleanup law for SSFL, SB 990. DTSC, however, said that even in the absence of SB9 990 or an AOC, its normal procedures require it to defer to local governments’ land use plans and zoning decisions which for SSFL allow agricultural and rural residential uses, which DTSC said would require a cleanup equivalent to the AOC requirements. Boeing resisted these standards, and said that it would instead cleanup to a weaker suburban residential standard. It said that although it intended the land to be open space, it would clean the site up so it would be clean enough to live on, as a way of providing assurance to the people who lived nearby. In August 2017, Boeing broke its word, saying it should only have to clean up to recreational standards – which amount to almost no cleanup at all. Recreational standards are based on people only being on the site for short amounts of time. But people who live near SSFL do not live in open space, and if high amounts of contamination remain on site, they will continue to be at risk of exposure to SSFL contamination through offsite migration. Boeing claims that, “Numerous health studies conducted over many years collectively reinforce that past operations have not affected the health of area residents.” That is false! A study for the U.S. Agency for Toxic Substances and Disease Registry (ASTDR), Professor Hal Morgenstern found a more than 60% increase in incidence of key cancers associated with proximity to the site. In another study for ASTDR, Professor Yoram Cohen found evidence of toxic exposures to the offsite population in excess of EPA standards. In addition, studies by cancer registries found elevated rates of bladder cancer associated with proximity to SSFL. A cluster of retinoblastoma cases, a rare eye cancer affecting young children, was identified within an area downwind of the site. And the Public Health Institute’s 2012 California Breast Cancer Mapping Project found that the rate of breast cancer is higher in Thousand Oaks, Simi Valley, Oak Park and Moorpark than in almost any other place in the state. 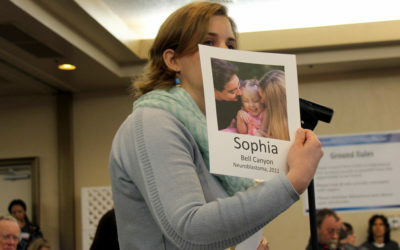 Most recently, rare pediatric cancers have been identified by families who live near SSFL, causing tremendous concern. If the contamination at SSFL is not fully cleaned up, people will continue to be exposed to SSFL contamination, risking their health, wellbeing, and lives. That is not a bright future for ourselves, our children, or generations to come. We must make sure SSFL is fully cleaned up. Support a cleanup plan that truly protects people and wildlife — not Boeing’s dishonest plan to leave contamination on site for generations to come. Send your comments to the Department of Toxic Substances Control today.